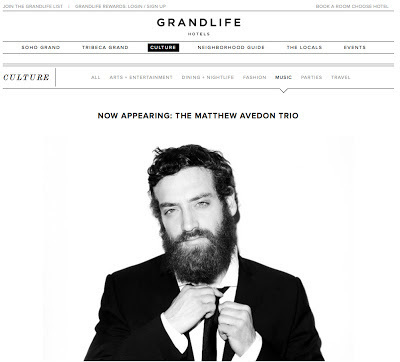 "It is with great pleasure that we are able to introduce The Matthew Avedon Trio into our weekly program at The Club Room at The Soho Grand. The Trio have proven their ability to bring a uniquely beautiful sound to wherever they play, but we like to think that when they step into The Club Room a little bit of magic happens." 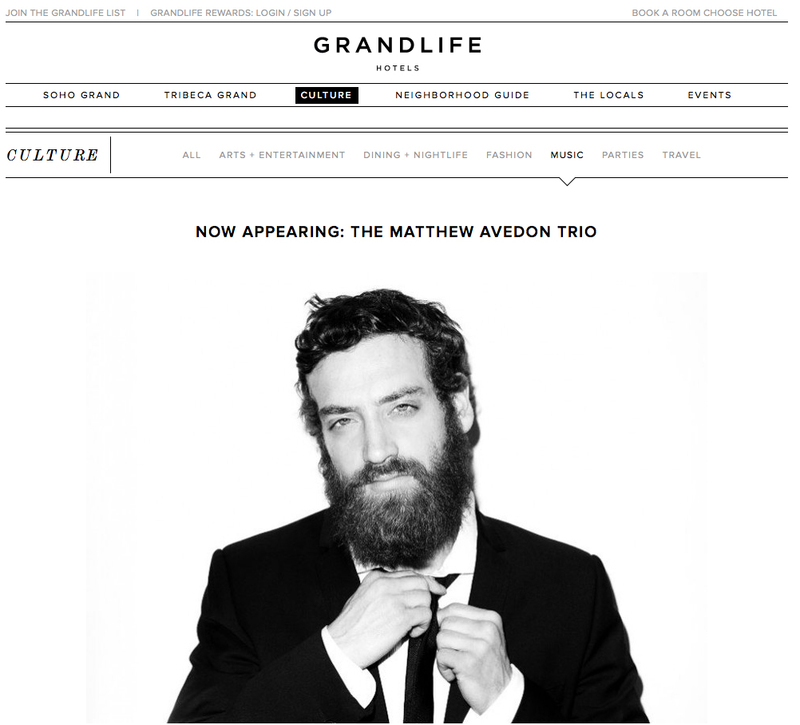 GrandLife: Growing up, how big of a role did music play in the Avedon household? 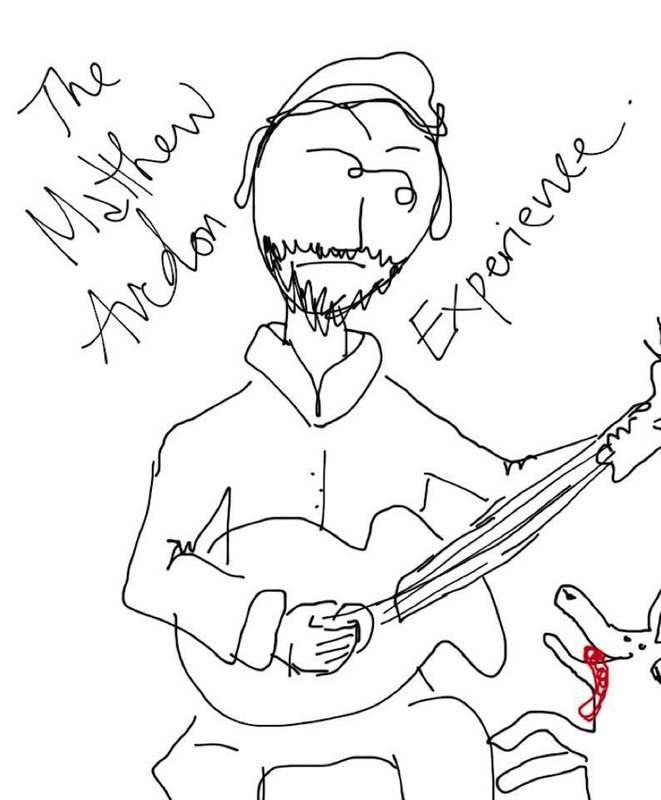 Matthew Avedon: Music was always a big part of my family but in very specific ways. I don’t think my dad ever played anything besides the Beatles my entire childhood, which is why I can’t ever listen to the Beatles anymore! I can sing every lyric to every song but I haven’t listened to any of it for years. My mom was more of a Doors fan and I feel the same way about their music; I love and can’t stand it! However, these are definitely the foundation on which my love for music was built even if I’ve moved away from them. GL: Clearly, Django Reinhardt is a big influence on your music. How did you discover him? MA: Django entered my life almost by accident. Every now and then I’ll go and buy a bunch of records from bands or artists that I’ve never listened to or even heard of just to find new music I like. I’ve spent a fortune on crap music but it’s all been worth it for those few records that stuck with me, and in Django’s case changed my life. I had read his name in guitar magazines and decided to check him out, this was before I had ever played any jazz, but the music struck a chord immediately. 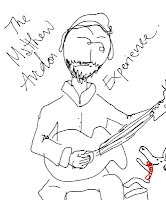 It’s got all the elements for good music: strong melody, strong rhythm, and virtuosity. It’s just so much fun to listen to and even more fun to play. GL: How did you develop your style? Would you consider yourself more comfortable as a soloist or in an ensemble? MA: I’ve definitely used Django and gypsy jazz as a foundation from which I developed my style. I play modern jazz, blues, rockabilly and used to be in some punk and metal bands (!) but my playing at its most basic form comes from what I’ve learned playing Django’s music. I do like to think that I’ve built on it significantly though, I play a way more modern version of gypsy jazz than Django did; it’s 2013, I’m not a strict traditionalist so much as a fan of this music which happens to be 70 years old. My band mates Jay Sanford (upright bass) and Jordan Hyde (guitar) are much the same. We all listen to the old recordings for inspiration and filter them through our own personal styles, that’s why we get along so well and play so well together. GL: What makes for a perfect gig? MA: A perfect gig for me is one where everyone in the band is feeling good and really listening to each other. When we’re connecting musically we push each other to play better, this is when I’m happiest. We’ve all played high paying gigs that just sucked because the music was boring or there was no energy or something; a good gig comes from good music and that requires everyone in the band to be on point. GL: If you could go back to any period of New York jazz, which would it would be and why? MA: Like most jazz musicians I’d love to be in NYC in the mid 40′s when bebop was really coming together as a new style of music. Even though I don’t really play that music so much the creative energy that formed it was so intense I’d just love to be involved or witness it at least. Now that music is considered completely normal, square and stale even, but at the time it was so revolutionary that it was unheard of, like a musical wild west. So exciting! GL: What future plans for performing and recording can we expect in the future? MA: We’ve just finished our first album in classic Django and swing tunes, which should be available for purchase at our gigs soon and plan on recording an album of originals in the gypsy jazz style in a few months. As for gigs we’re going to continue playing the Soho Grand every Friday, it’s been a great gig so far with a beautiful ambiance and fun receptive clientele as well as having great acoustics. We sound great in that room! We play around the city about four nights a week and encourage everyone to visit our website at kingscountyswing.com to keep up to date on our schedule! Congratulations on the album, hope it and your musical career is a huge success.